These two boxes were made as a present to friends. The top of the box is a laser cut veneer inlay in the pattern of a compass rose. 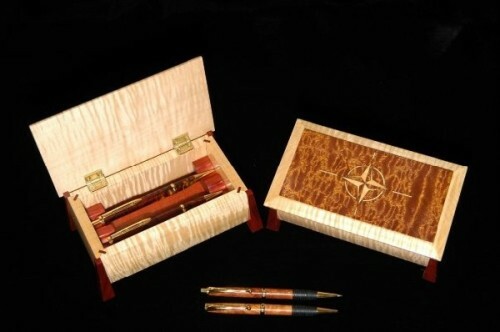 Inside each box was a hand turned pen and pencil set.